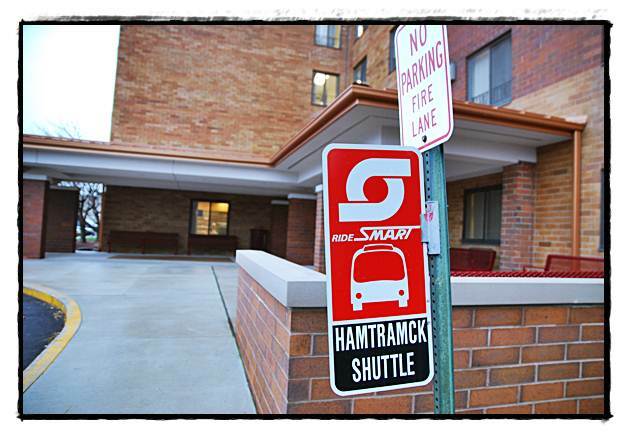 The SMART shuttle service has been eliminated in Hamtramck. For Hamtramck residents like Charles Clanton ,who depend on the SMART shuttle, there is only one word for the end of that bus service. “It’s going to be a terrible inconvenience,” he added. For Clanton, 61, and at least a dozen or so other seniors living at the Hamtramck Senior Plaza ,the shuttle helped them get around town to do grocery shopping, go to the new Social Security office in Highland Park and get to doctor’s appointments. On Monday, the shuttle service came to an abrupt end because of a massive budget shortfall. In all, 15 routes were eliminated. It’s unknown how many Hamtramck residents used the shuttle on a weekly basis. Jason Friedmann, the city’s director of Community & Economic Development, said he will meet with SMART officials next week, or as soon as possible, to look over those numbers and see if there is justification to end the service. He said it is possible that Hamtramck can fund its own shuttle, using a tax credit that’s paid into the SMART service. Friedmann said he’s hoping to team up with the Hamtramck Housing Commission to use its buses. The elimination of bus routes comes at a time, ironically, when regional officials are in the midst of planning to expand public transit. It also comes at a time when government officials, including Gov. Rick Snyder, are trying to convince young adults to stay in Michigan and not flee to cities like Chicago. The mixed message was not lost on Friedmann. SMART’s pulling out of Hamtramck is another blow to the city. Several weeks ago, the Hamtramck branch office for Social Security was closed and moved to an office in Highland Park. And as we went to press, yet another setback was announced about regional transit. For the past year, or so, there has been much talk and ballyhoo about constructing a light rail system along Woodward, from downtown to 8 Mile – the first stretch in a system of rail service connecting the metro area. Gov. Snyder and federal officials announced on Wednesday that the light rail system is dead in its tracks. Instead, it will be replaced with high-speed buses.